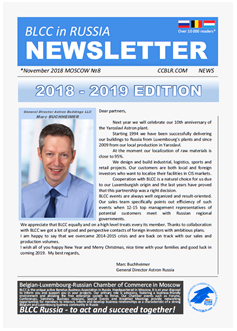 The Belgian-Luxembourg Chamber of Commerce (BLCC Russia / CCBLR Moscow) is the unique active Benelux Business Association in Russia. 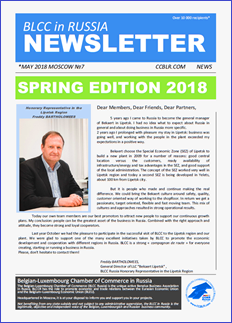 BLCCR has the role to promote economic and trade relations between the Eurasian Economic Union and the Belgium–Luxembourg Economic Union (BLEU). 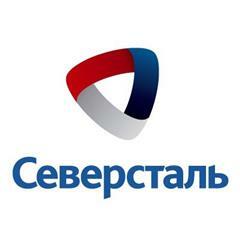 Headquartered in Moscow, it is at your disposal to inform you and support you in your projects. 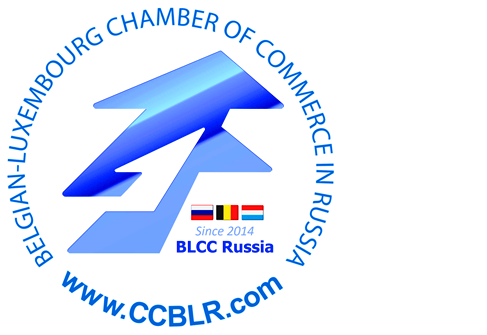 In Moscow, on the basis of the Chamber of Commerce, Russian-Belgian and Russian-Luxembourg Business Councils have been established. Trilateral Chambers of Commerce activities are very large and numerous and are expressed through concrete performances, such as trade-missions, international contacts exchanges, conferences, roundtables, and other events centered on business opportunities. Join Us - be among the best! Присоединяйтесь к нам - будьте среди лучших!